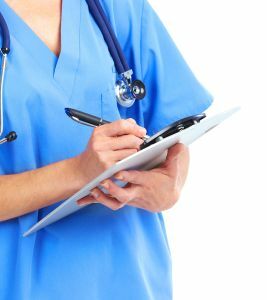 Finding an English speaking doctor in Berlin, Germany can be a challenging course due to the language barrier, but this doesn’t have to be the case. Clearly the decision is as important as choosing your own doctor back home. Doctor Berlin wants to help you with this. You could allude to the yellow pages (Gelbe Seiten) in which doctors in Berlin can be found by specialty. Or, usually the best way, by asking a colleague or friend. The best references could be by word of mouth. On Doctor Berlin we try to combine both ways. You will only find verified english speaking doctors. If you would like to recommend a specific doctor, please leave a comment and tell us your experience with certain doctors on Doctor Berlin. Other good sources are the university clinics (Kliniken or Krankenhäuser) in bigger cities who provide ambulance services in addition to hospitalization. These clinics are staffed by highly skilled doctors who often speak adequate English. We are preparing a list on Doctor Berlin for this. 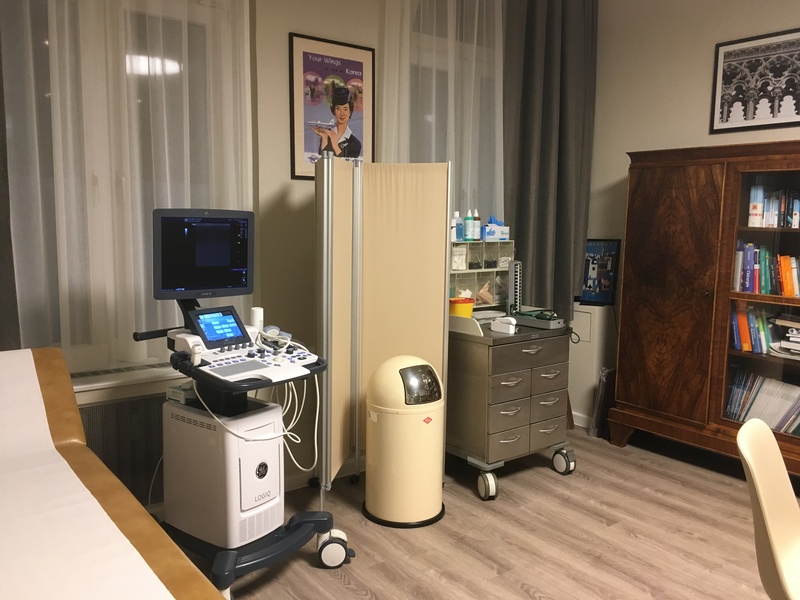 Some of the differences between medical care in Germany and other countries (particularly the United States) are the ways in which doctors interact with sick persons. In the USA there is a “Patients Bill of Rights” that doctors and hospitals are required to follow if they are to be approved by the American Medical Association. Under these rules patients must be advised of treatment, prognosis, alternative treatments, diagnosis and risks. German doctors on Doctor Berlin have no such rules, and may not be accustomed to discussing these things unless you specifically ask. So it would be wise to prepare some questions before your appointment. More Info about this later at Doctor Berlin. If you are insured by the state health insurance in Germany, you must pay 10 € upfront per quarter to visit the doctor. If you visit the doctor again during the same quarter, you will not have to pay an additional fee. When visiting a specialist to whom you have been referred to by your general practitioner, you will not be charged the fee as long as your appointment falls within the same quarter. Keep the voucher you get when you pay the 10 €, just to be sure. It’s common for many doctors in Germany to have a private practice and also be on a hospital staff. So office hours (Sprechstunden) may be more limited. Doctors in private practice normally have office hours Monday to Friday, from 8 a.m. to 1 p.m. and sometimes from 3 p.m. to 6 p.m., aside from Wednesday afternoons when most doctors’ offices are closed. You can find out the specific times in the “Doctors” section. A Hausarzt (generally equivalent to a General Practitioner or Primary Care Physician) normally has an “open door” policy at fixed times per day, where you can enter on a first come, first serve basis. Be prepared to wait some time, depending on the encroachment. It’s always a good idea to make an appointment, but it could be hard to get one if you are unable to wait a few days. In this case you should use the “open hours.” Doctor Berlin will be open 24/7. Generally you need to see a general practitioner first, who then can refer you to a specialist. You can find them on Doctor Berlin. This is common and you should stick to this practice too. When making an appointment either by telephone call, or in person, you will talk to the Arzthelfer (i.e. doctor’s assistant). He or she may not speak English well, but shouldn’t ask many questions about why you want to make an appointment. You just need to ask for a day and time for an appointment. If it is for an exceptional reason you may want to specify the reason for your visit. Otherwise, you can give your medical history to the doctor. The most doctors on will ask for that anyway. Ich möchte bitte einen Termin machen. – I would like to make an appointment, please. Es ist dringend. Haben Sie einen früheren Termin? – It is urgent. Do you have an earlier appointment? When you have a critical health situation during evenings, weekends or holidays, there is always a doctor available. These doctors provide after-hours medical help. 1. calling your own doctor. If he or she is not available, there will usually be a recorded message giving the telephone number of an emergency doctor. 2. calling the Notdienst (110) for the name of a doctor in your city. 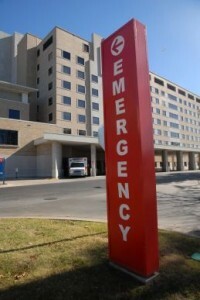 3. going directly to the hospital or emergency room. 4. calling your local police or hospital. 5. checking your local paper (either the print edition or online). To find the emergency service in your plot search through your local paper looking for the heading Notdienst Kalender (emergency calendar) or Notdienste (Most papers have this information also in their online editions.) In this section you will find the telephone numbers of after-hour services: Ärzte (doctors), Zahnärzte (dentists), Augenärzte (eye doctors), Tierärzte (veterinarians) Apotheken (Pharmacies), Untransportable (ambulance service), and Feuerwehr (fire department). Some papers also list AIDS assistance, therapists, Alcoholics Anonymous meetings, and taxi service. However, this varies from town to town. Using this section of the newspaper can be an invaluable resource. However, because information varies depending on where you live. You will find more Information about this at Doctor Berlin later. If you saw one of our doctors listed at Doctor Berlin we would appreciate it if you come back and share your experience with the community to help us provide the best service for you and others. So please leave a comment about English speaking doctors in Berlin on Doctor Berlin. Discuss the benefits of different doctors in Berlin with other users on Doctor Berlin. General practitioner practice also with specialist help for diabetes, neurology and HIV. Surgery Monday to Friday from 09:00-13:00 or up to 19:00 by special appointment on Monday, Tuesday and Thursday. Also in-house blood and urine testing. 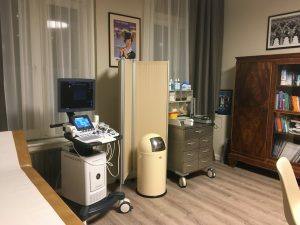 GP and homoeopath, worked with the NHS, specialised in OBGYN, pap smears, tummy checks, skin cancer screening, all kinds of medical check-ups, treatment of rheumatism, diabetes, hypertension, internal ailments, vaccinations.